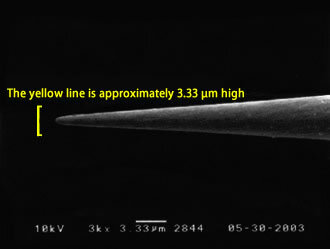 Our push-up needles can be used as ejector pins, measuring probe needles, micromanipulator operation pins, and so on. 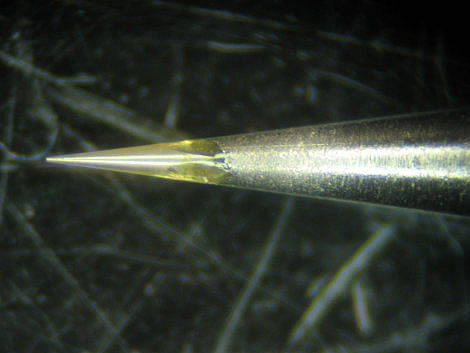 As micromanipulator operation pins, they are used generally for applications such as minute foreign body collection, and specific part extraction for the material analysis of industrial goods. 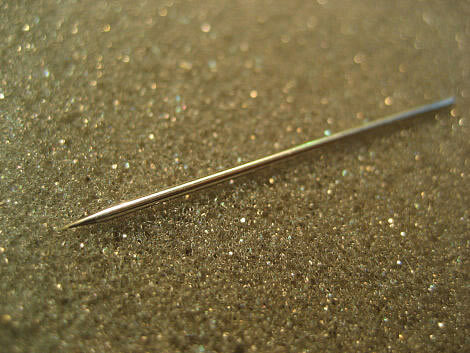 The above picture is of a pin with a tip width of 1 μm (0.001 mm), magnified 3000 times with an electron microscope. 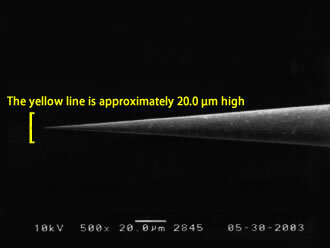 The above picture is of a pin with a tip width of 1 μm (0.001 mm), magnified 500 times with an electron microscope. Consult us about the external diameter (φD), cone angle (Θ), total length (L), and tip shape. 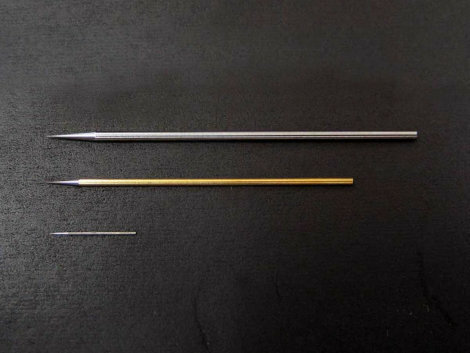 We can make various kinds of needles according to your specifications.